I was invited to second shoot this wedding by the very talented Andy Moore from Andrew Moore Photography . When he told me this wedding would be the first ever wedding celebrated at this iconic building I jumped at the chance as it truly would be a unique experience. The day began for me at the Richmond Inn Hotel to photograph Jonathan getting ready. Jonathan and his brother/best man Phil were in good spirits and relaxed when I arrived which really helped in getting some great shots of them both. Next up it was a short drive to The Plough Inn where Jonathan met up with the rest of his groomsmen for a few pre-ceremony drinks to calm the nerves. The ceremony was held at the beautiful Christ Church in East Sheen. This church was magnificent to photograph in as it was really well lit with natural light, wide open spaces allowing me, Andy and the videographer Paul to move around and capture the ceremony from lots of angles to truly capture the whole experience. After a wonderful ceremony the guests made their way outside to be met by a lovely old red London bus which would take them on to Lambeth Palace. Whilst Andy was inside the church with the bride and groom getting a few shots, this was a perfect time for me to capture some candid moments of the guests! 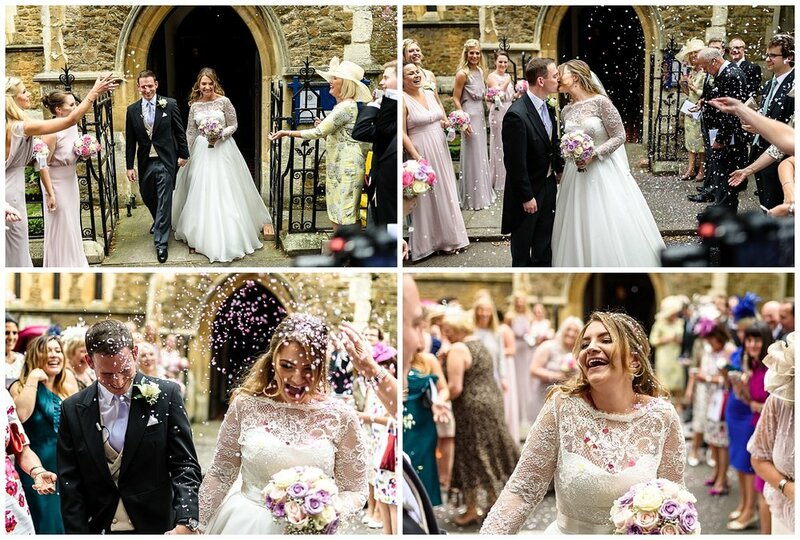 Prior to leaving the guests lined up either side of the exit of the church before Lucy and Jonathan walked out to a shower of confetti-always great fun to photograph. A mad dash into central London ensued trying to get through the crazy traffic to get to Lambeth Palace prior to Lucy and Jonny arriving. Arriving at the Palace I was amazed at how incredible a building it was and what a privilege to be able to shoot there! First up was a big group shot at the front of the building followed by some portraits of Lucy and Jonathan in the beautiful palace gardens. Into cocktail hour and small group shots in the gardens behind the palace where the guests were treated to drinks and a string quartet. This followed with the wedding party group shots shot at the back of the building. The reception was held in the great hall which was a magnificent room for the wedding dinner and speeches followed by the night entertainment. Right at the end of the night we got the chance to take the Bride and Groom out on to the Embankment for a few photos with the historic London backdrop, a truly great way to end a fantastic day! 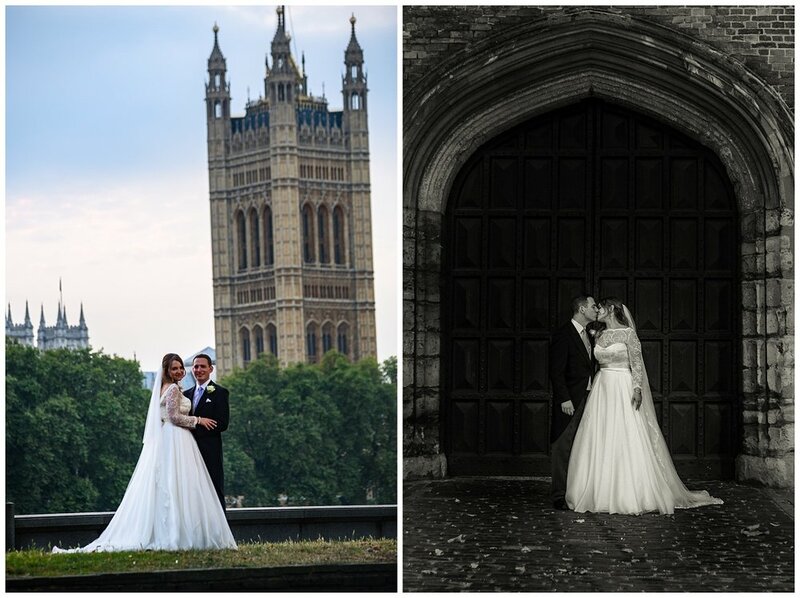 Are you planning a 2018/2019 London wedding and like what you see? Send me a message to chat about your wedding photography!